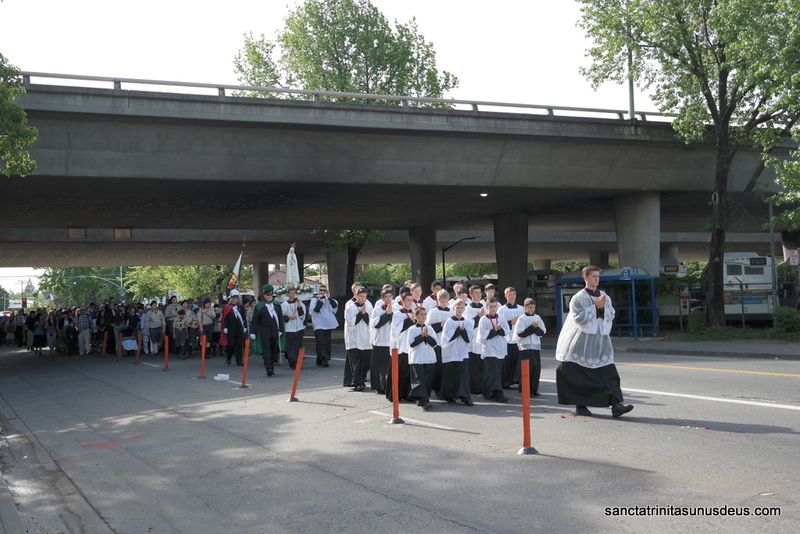 A multitude of Catholic faithful from all over California and other states participated at the 6th Annual Great Marian Procession West Coast last May 3, 2014. 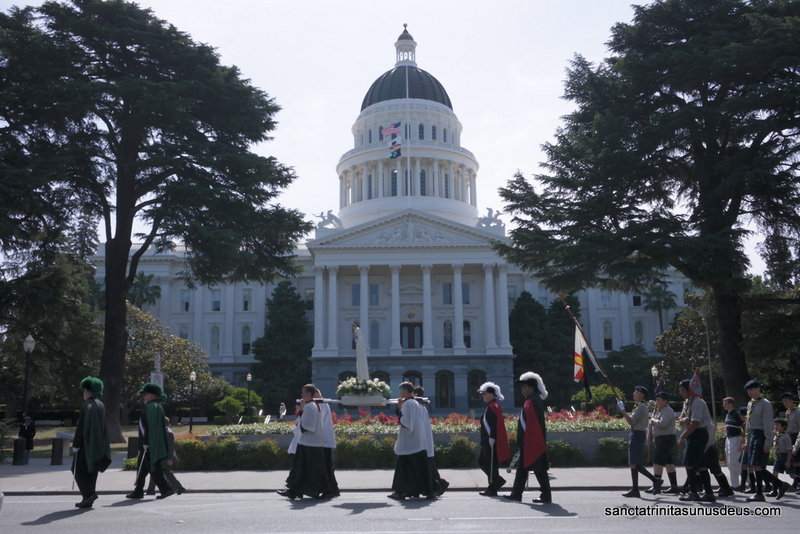 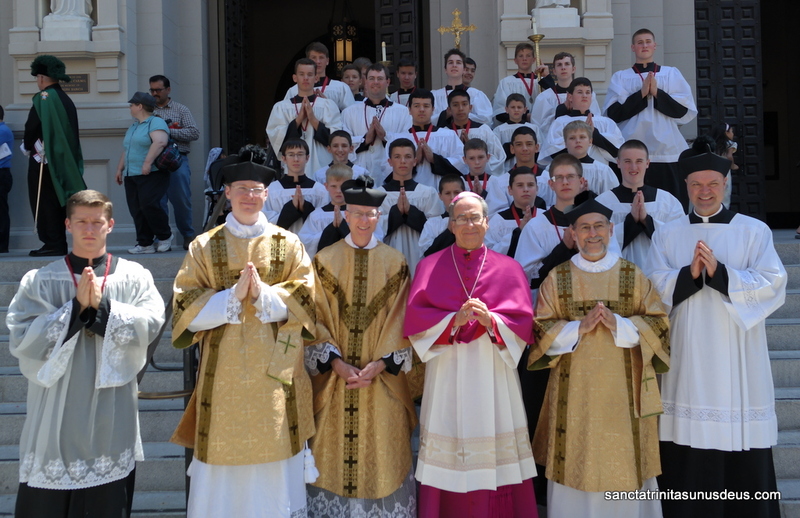 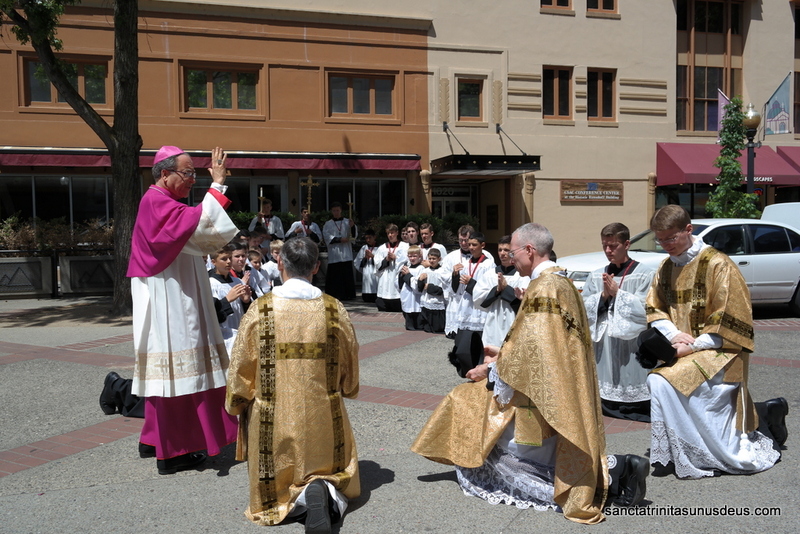 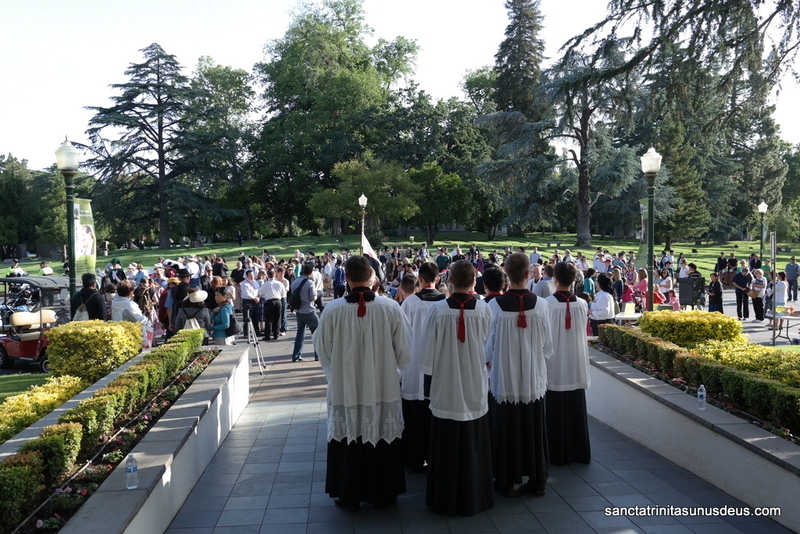 The three mile processional walk started at the East Lawn Memorial Park and ended at the Cathedral of the Blessed Sacrament in downtown Sacramento, California where a Solemn High Mass in the Extraordinary Form was celebrated with His Excellency, Auxiliary Bishop Myron J. Cotta, in choro. 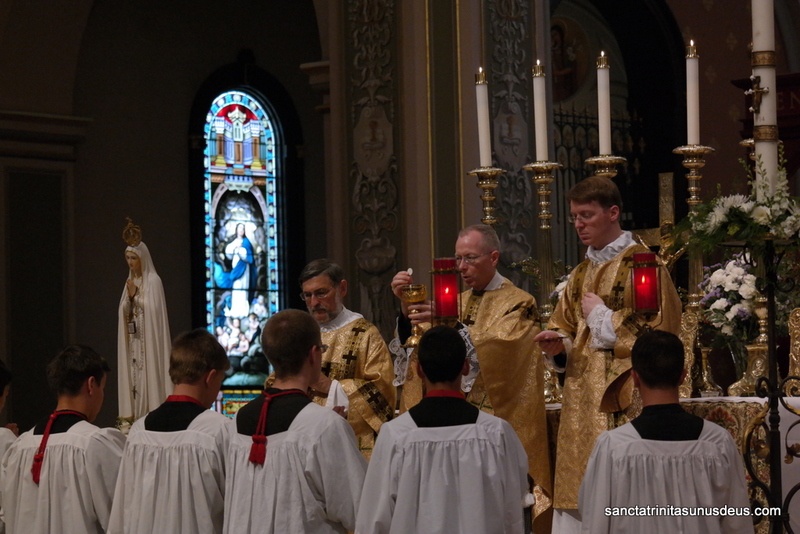 The Mass was sung by the Choir and Choristers of St. Stephen the First Martyr Parish, which has been entrusted as a personal parish to the Priestly Fraternity of St. Peter (FSSP). 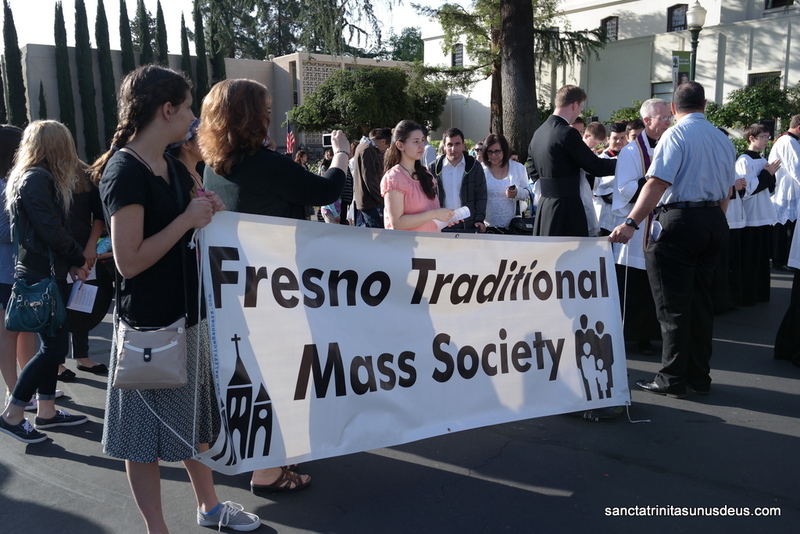 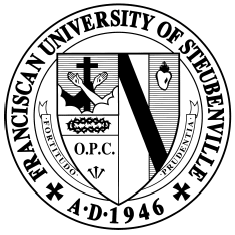 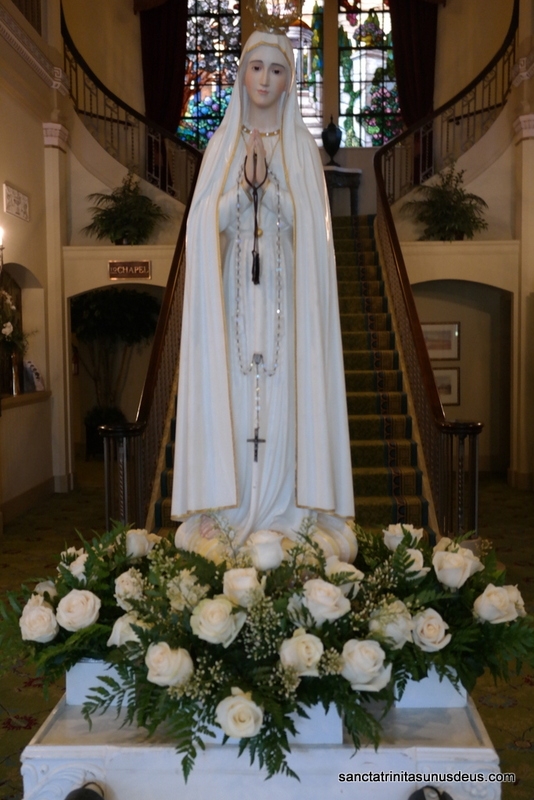 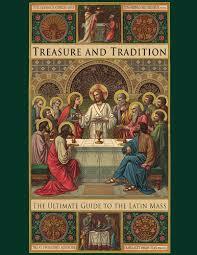 The next Annual Marian Procession West Coast will take place on May 2, 2015. 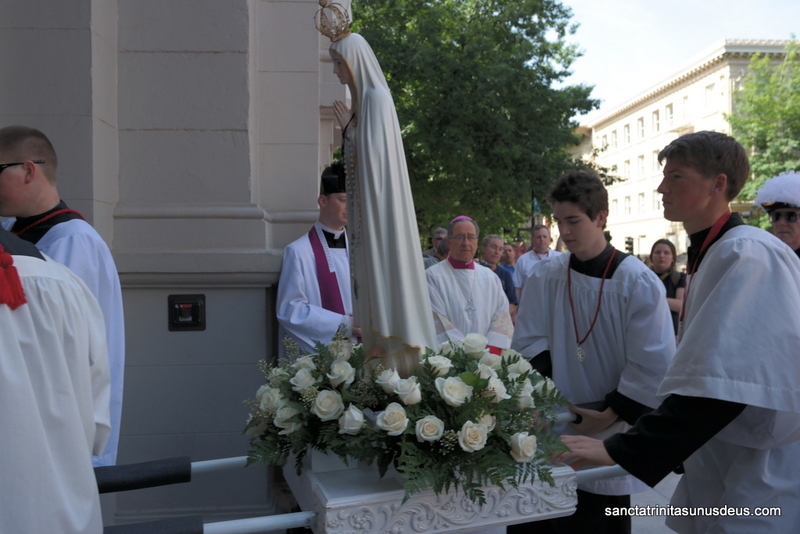 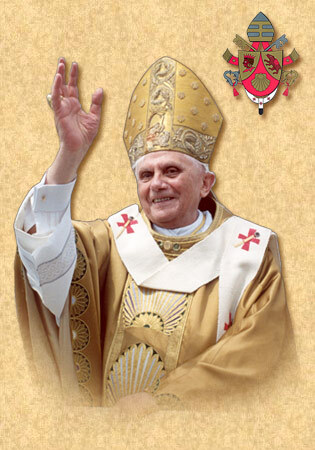 For future updates, be sure to visit http://www.BringMary.com. 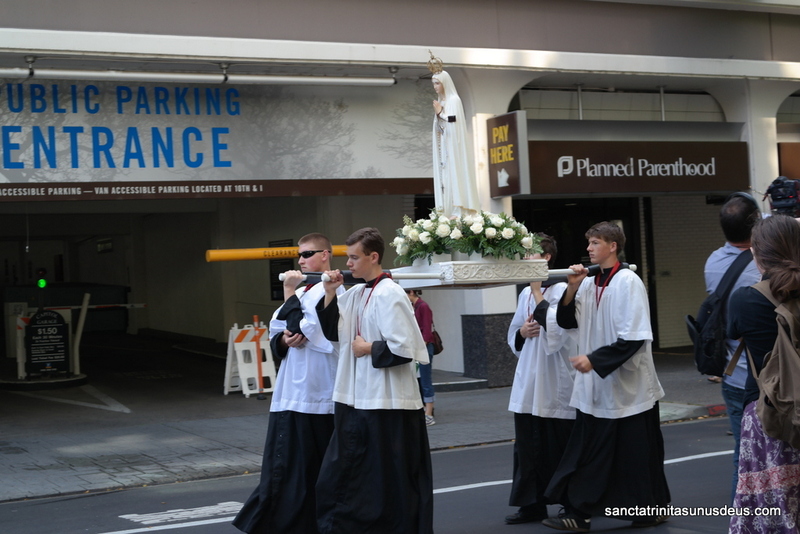 Passing by the local Planned Parenthood Clinic … let’s hope and pray it closes down soon! 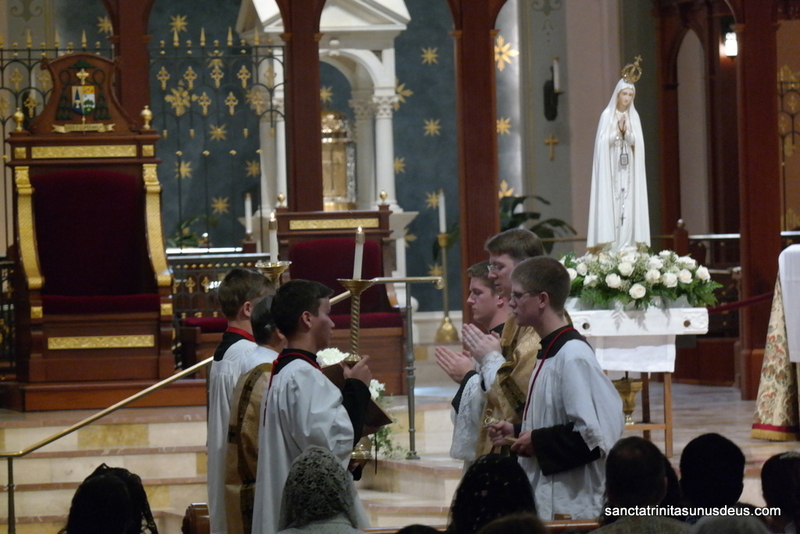 More photos can be viewed on our photo gallery. 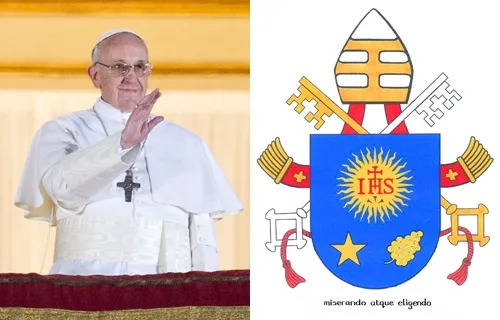 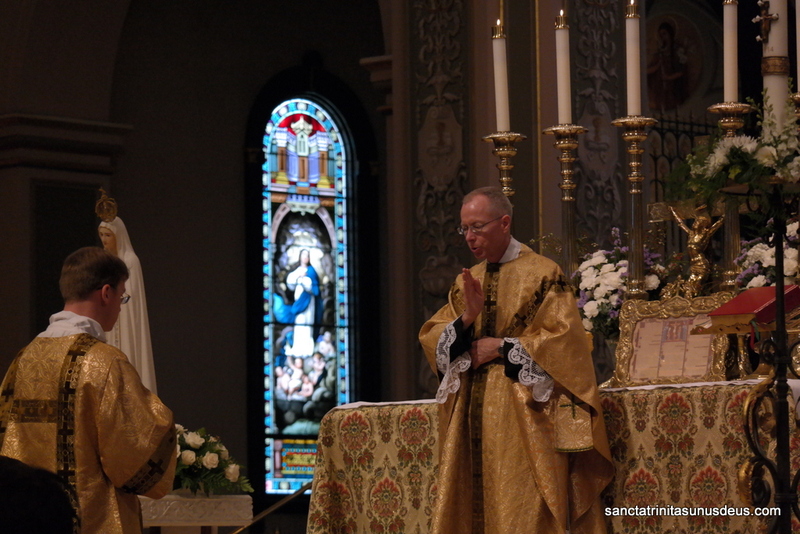 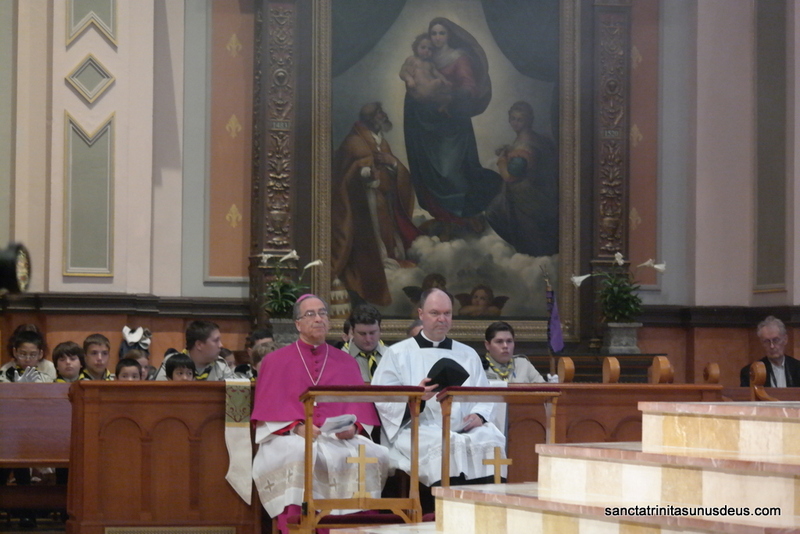 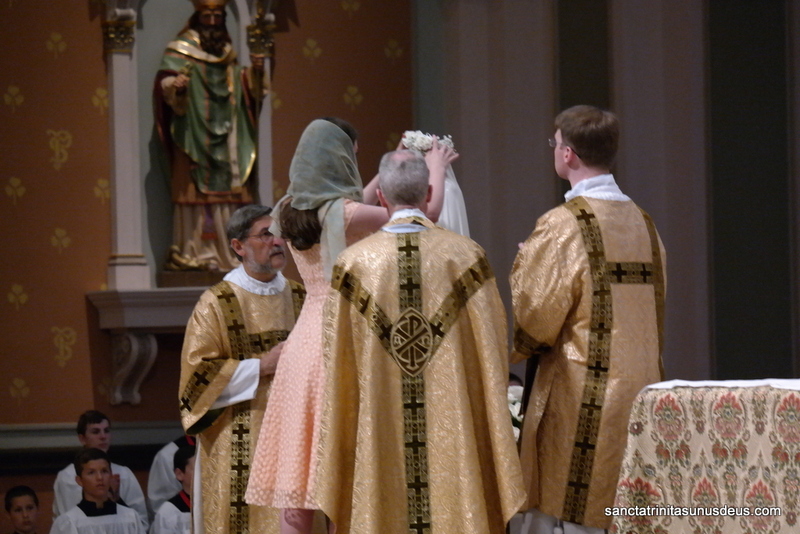 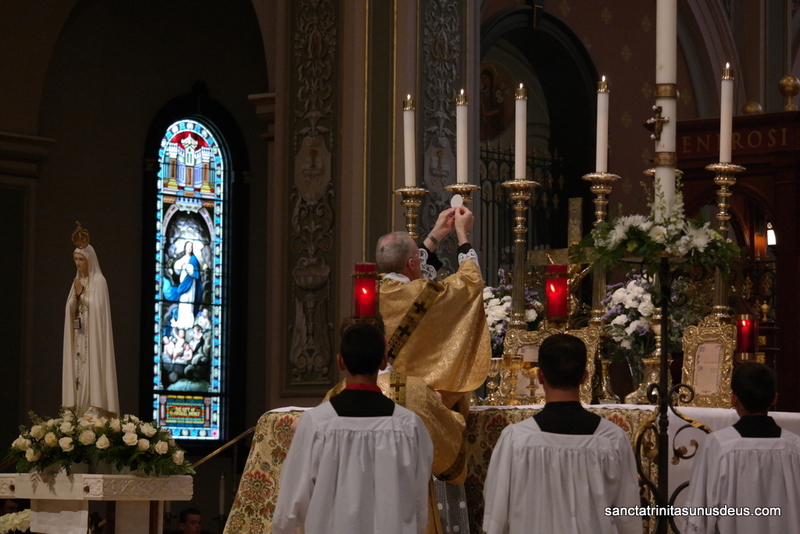 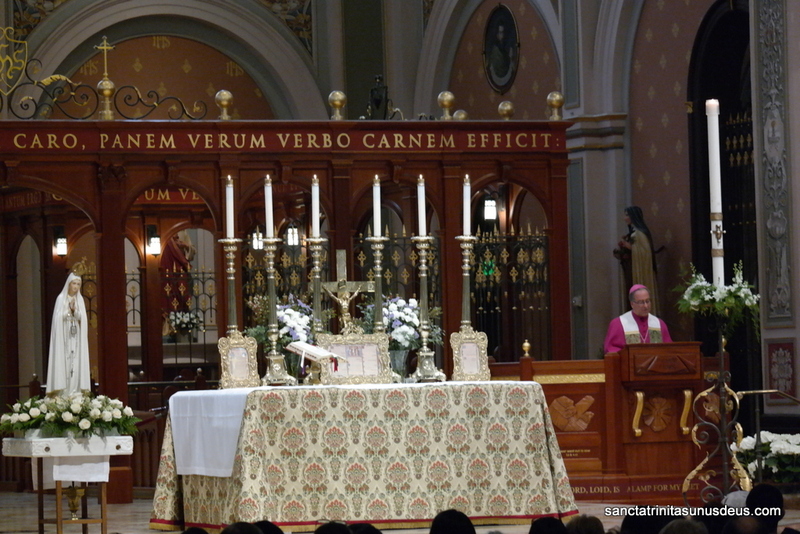 While any of our photos and videos may be freely posted on other blogs and websites, we are only requesting an acknowledgement / credit to be given to the Traditional Latin Mass Society of San Francisco with a link to our website (http://sanctatrinitasunusdeus.com).